Tradestable treasure hunt has become one of the highest engagement fanclubs according to a case study by Eskimi fanclub. The study indicated that users spent 16 and above years of time playing tradestable this year. 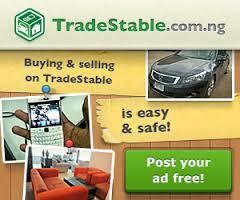 TradeStable.com.ng is a free classifieds website where you can buy and sell almost everything, close to you in Nigeria. Users can post an ad for free or browse through the categories to find thousands of free classifieds for cars, houses, mobile phones and gadgets, computers, pets and job offers in your region. In just over a year, TradeStable became one of the leading players in the classifieds category in Nigeria. Eskimi social media platform launched Eskimi Treasure Hunt engagement activity as a solution for businesses more than a year ago. Since then a lot of companies from FMCG brands, banks, mobile money, internet brands have launched these engagement. Treasure Hunt + fanclubs campaign on Eskimi is the most popular combination at the moment to engage with the audience and reach them on a daily basis. “We are extremely happy with Eskimi social media platform campaign performance and user engagement. We see constant user activity on the TradeStable fanclub and this amazes us how responsive they are. We are also happy to own biggest commercial fanclub with 450,000 fans on Eskimi”, Andrew Hall, managing director of TradeStable.com shared it’s experience with Eskimi. But in reality Tradestable has to battle it out with OLX and Kiramu to become what it is aming for.